Manushi Chhillar to Make Her Bollywood Debut With a Farah Khan Film; Another Deepika Padukone in B’Town? 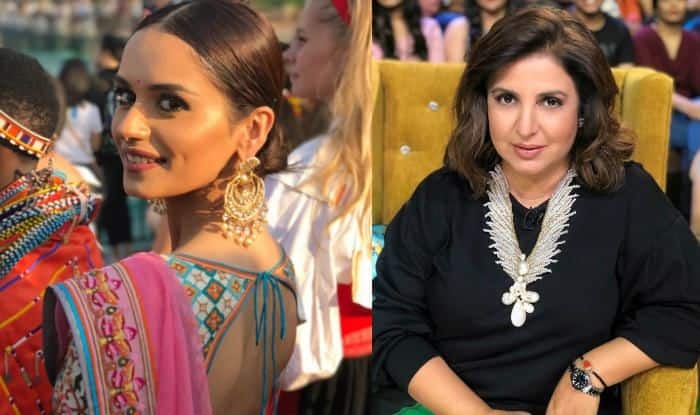 After giving Deepika Padukone her dream debut in the Hindi film industry, filmmaker Farah Khan is now rumoured to be launching Miss World 2017 Manushi Chhillar. A leading entertainment portal has reported that Farah has indeed been in talks with Manushi for a film and everything is almost finalised. The report further states that Farah even visited Goa to start working on the script. Pinkvilla has reported “Farah met Manushi today to discuss her upcoming film project. She has already started working on her next script for which she even went to Goa”. This should not come as a surprise considering Manushi has many a time expressed her desire to work in films. There’s no official confirmation on the same yet. However, the fact that Farah has been away from the direction for a long time alone justifies that there’s a possibility of her coming back to screen with Manushi. Her last directorial was Happy New Year in 2014, featuring Shah Rukh Khan, Deepika Padukone, Abhishek Bachchan, Boman Irani, Sonu Sood, Vivaan Shah, and Jackie Shroff among others. Meanwhile, Manushi, after her Miss World win, has been travelling the world for various special causes. She has been also associated with a project for menstrual hygiene. Manushi hails from Haryana, and her achievements have motivated many young girls to make their endeavours true. She was also seen performing with Ranveer Singh in a commercial advertisement. Manushi has been a regular at various Bollywood events and award shows. Her pictures on Instagram turn viral within a few minutes. With that stunning appearance and confidence on sleeves, Manushi has everything to become the next big starlet in B-town. She was crowned the 54th Femina Miss India World 2017 by the outgoing Femina Miss India World 2016 Priyadarshini Chatterjee at the finale event held at Raj Studios. She represented her home-state Haryana as the Miss India Haryana 2017 at the Femina Miss India 2017 and competed with 29 other contestants from different Indian states.